Mr. Afzal Ali joined the TCL Group in 2014. In April 2017, he was appointed to the position of Marketing Manager at RML and was appointed the Marketing and Sales/Builders and Developers Manager in May 2018. 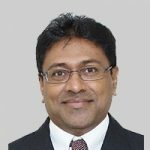 Prior to joining the TCL Group, Mr. Ali was the Senior Manager – Power Systems at TracmacCat. 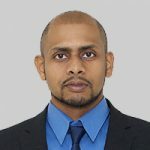 – Neal & Massy Group and an International Territory Manager for Grainger Inc.
Mr. Ali has over 15 years’ experience locally, regionally and internationally in Supply Chain and Marketing and Sales Management. Mr. Ali holds an International MBA from the Lord Ashcroft International Business School – Anglia Ruskin University in the UK.